Huge Savings Item! Free Shipping Included! 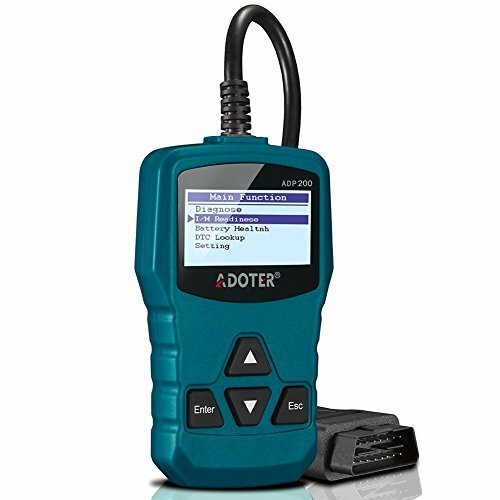 Save 12% on the Adoter Car Auto Engine Code Scanner,Universal OBD2 Scanner ADN200 Automotive Diagnostic Scanner for Car by Adoter at Lazaranda Dallas. MPN: 200. Hurry! Limited time offer. Offer valid only while supplies last. EXTRA FEATURES: This OBDII scan tool supports reading data stream and freeze frame, o2 sensor test, on-board monitor test (mode$6), EVAP system (mode$8) and reading vehicle information, offering high-quality functions. If you have any questions about this product by Adoter, contact us by completing and submitting the form below. If you are looking for a specif part number, please include it with your message.